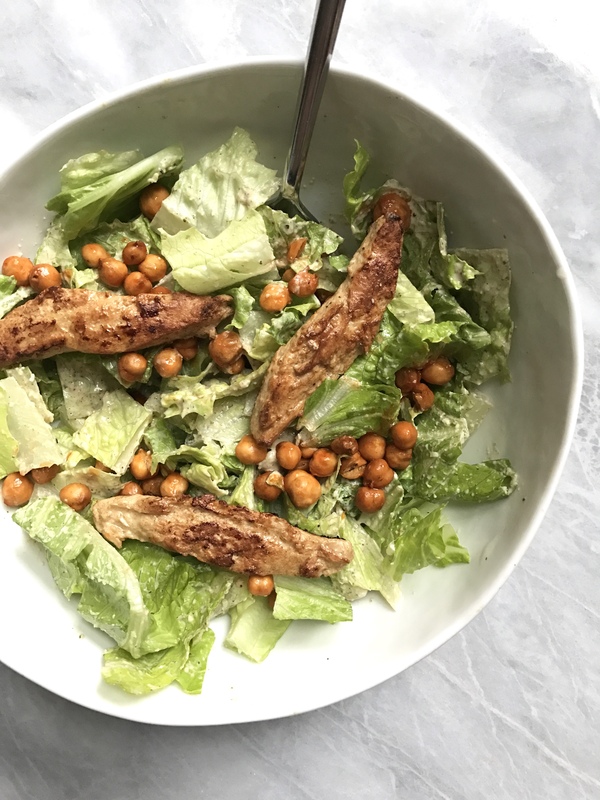 For years, Caesar salad was my #1 choice in a meal whenever I went out. 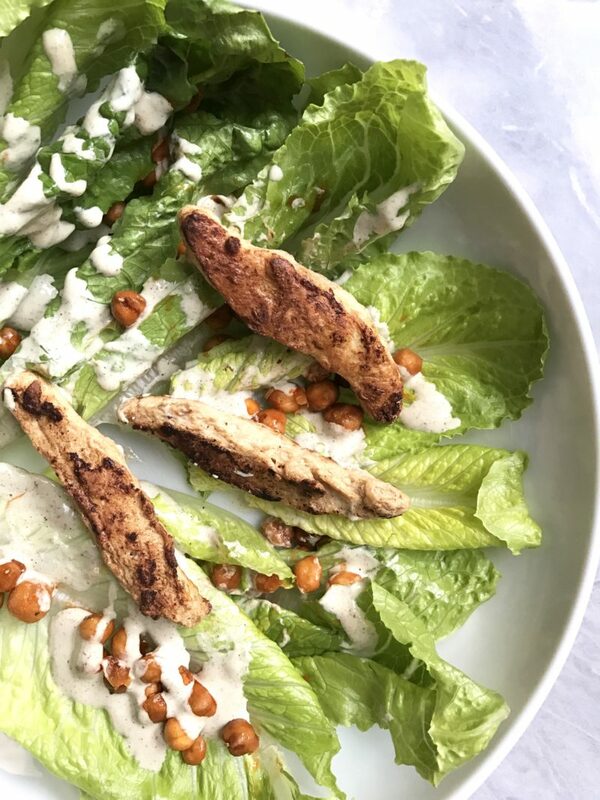 After going Vegan, and my Caesar cravings really kicked in, I noticed that I couldn’t find any homemade dressings that didn’t contain cashews. As I am allergic to all nuts, it tends to get very frustrating to find simple recipes to make at home that don’t contain any cashews, almonds, etc. I knew I wanted to create my own but was feeling stumped on how to do so. That was until I discovered that hemp seeds could be the factor in fulfilling my love of Caesar salad again. Hemp seeds are great and have a similar taste to sunflower seeds. 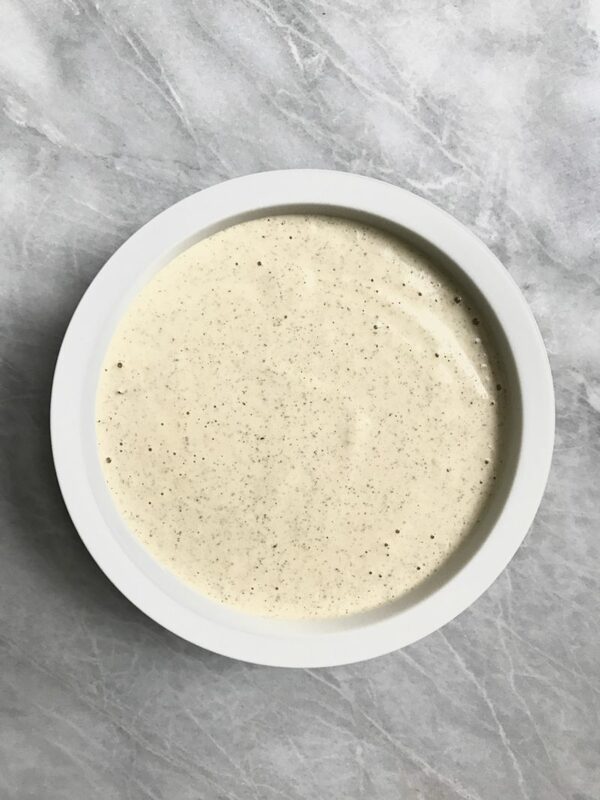 However, by adding tons of other ingredients to the dressing that sunflower taste gets masked and just becomes a creamy component to tie the recipe together and allow it to have a creamy texture. Instead of using croutons, I decided to switch it up using some baked buffalo chickpeas. I seriously love the spice of buffalo sauce and it makes such a great combination to balance out the flavors in the dish. If you ever make any of my recipes, don’t forget to tag me on Instagram @plantbasedjane so I can see! Combine everything in a high speed blender or food processor.